Tract A Fox Hollow Rd. This Large Estate Lot (approx. 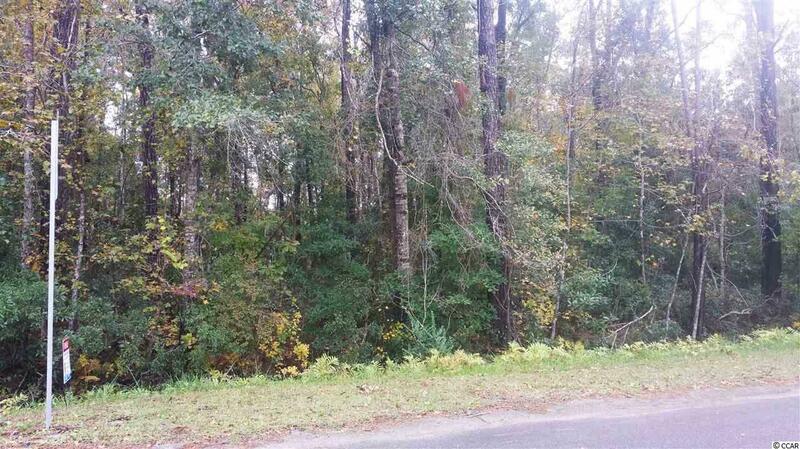 1.08 acres) will give you plenty of room between you and your neighbors. Convenient Murrells Inlet location adjacent to Prince Creek with No HOA fee. No building restrictions, no time limit to build. Close to everything the area has to offer: restaurants, the Intracoastal Waterway, Wacca Wache Marina, fishing/boating, shopping, entertainment, etc. and only a few minutes to the beach. © 2019 Coastal Carolinas Association of REALTORS® MLS. All rights reserved. The data relating to real estate for sale on this website comes in part from the Broker Reciprocity Program of the Coastal Carolinas Association of REALTORS® Multiple Listing Service. Real estate listings held by brokerage firms other than Power House Realty are marked with the Broker Reciprocity logo and detailed information about them includes the name of the listing brokers. The information provided is for consumers' personal, non-commercial use and may not be used for any purpose other than to identify prospective properties consumers may be interested in purchasing. All information provided is deemed reliable but is not guaranteed accurate, and should be independently verified.